I found this little video of a modern, flying replica of the Messerschmidt 163 Komet over on YouTube, put up by Knight Flight Video. From the some of the speech you can hear, it seems that it was filmed at an airshow in Germany. The Komet was developed by the Germans during the Second World War to intercept allied bombers. Unlike conventional aircraft at the time, it was powered by a rocket engine. However, this also made it a virtual deathtrap to fly. The engine was a liquid fuel rocket motor. The fuels used were hypergolic, which meant that they automatically ignited when mixed together without needing a separate ignition system. However, they were also highly acidic, and so would cause severe burns if spilled onto the pilot. I’ve also got a feeling that once the fuels started burning, they were difficult to put out as the fuel contained its own oxidizer. Which was another serious hazard to the pilot. It also had a very short burn time – about four minutes. By the end of that very brief interval, the plane would have shot past the allied bombers it was supposed to shoot down. It would then have to glide back to Earth. I think the vehicle had originally been developed as a glider for service in one of the Nazi schemes to get German boys interested in flying, and then eventually joining the Luftwaffe as pilots – a sort of Nazi Air Cadets. The rocket engine was added to the design later. The commenters on this video also state that the absence of a conventional tail meant that the plane was difficult to land. It also lacked wheeled undercarriage, and landed on a skid instead. This resulted in many of its pilots breaking their backs on landing. The replica plane is also painted red, whereas I think most of the Komets that were actually flown were painted standard German military grey. However, its red colour probably comes from a suggestion of one Luftwaffe officer or Nazi apparatchik that the planes should be painted ‘Richtofen red’, after the plane from by Manfred von Richtofen, the Red Baron, during the First World War. The person, who made this suggestion believed that it would serve to terrify the allied airmen, but others have pointed out that if the Germans had followed his advice, it would immediately mark them out as targets and result in the planes getting shot down sooner by the RAF. Looking at the video, it appears to me that the replica plane is really glider being towed by the Dornier aircraft that precedes it, although I can’t see a wire between the two. It clearly isn’t using a propeller, and it is very definitely not using a rocket engine. If it was, it would be moving so swiftly that I doubt there’d be much time to see it before it was a small dot in the sky. Plus the fact that I doubt very many pilots would wish to risk their lives in a fully accurate, working replica using the original rocket engine. For all its horrendous faults, this was a significant advance in the use of rocket technology and in aircraft design. I think the Komet was produced as part of German aircraft engineers’ research into delta wing designs. After the allied victory, this research was seized by the allies, including British aircraft engineers and designers. They developed it further, leading to the creation of the Vulcan bomber, Concorde, and possibly the Space Shuttle. The future of Britain’s space programme, examining plans for the first UK spaceport in Scotland and the potential launch of revolutionary micro-satellites over the next decade. Guest presenter Tim Peake looks at the history of British space exploration. The programme’s on BBC4 at 10.00 pm. Britain did have a very successful space programme from the 1950s to about 1975. 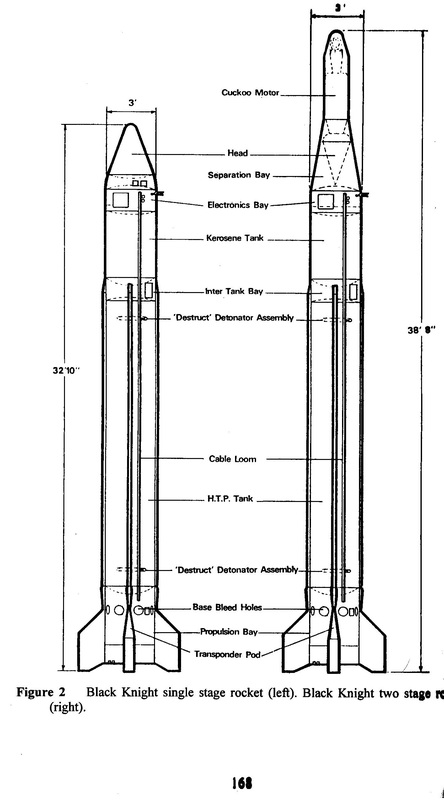 The UK developed a number of very successful sounding rockets, like Skua, which were used by meterologists for the exploration of the upper atmosphere. Development of the Blue Steel missile, intended as the launcher for Britain’s independent nuclear deterrent, resulted in the creation of the Black Knight rocket, which successfully launched a British satellite, Ariel, into orbit in 1975 from Woomera in Australia. And then the British launcher programme was cancelled, as civil service mandarins felt it would be more economical to have our satellites launched by the Americans. We were also part of the ESRO programme in the 1960s until that finally fell to pieces in the 1970s. 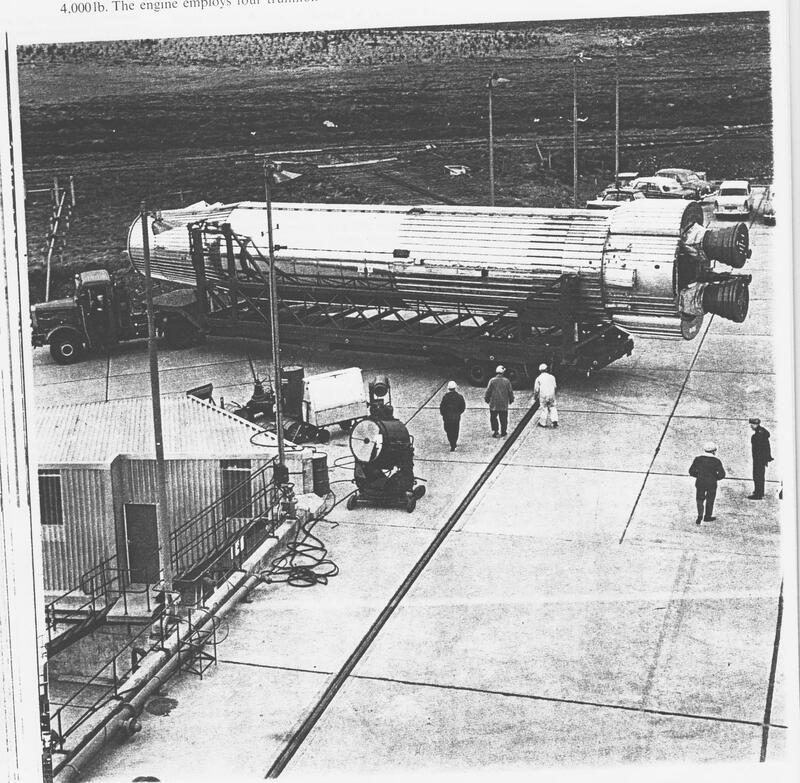 This was a European programme to produce a common launch rocket for European satellites We were to produce the first stage, and the French, Germans and Italians the others. Our part of the rocket worked perfectly, but there were problems with the other stages. This led to the programme’s cancellation as costs mounted. The French, however, continued developing rockets, leading eventually to the launch of Ariane, which has been immensely successful. We were left behind as the launch of our satellites depended on the Americans’ own plans and launch priorities. And the suspension of the space shuttle programme after the Challenger disaster, I believe, did result in Britain losing that as a launch vehicle for the duration. 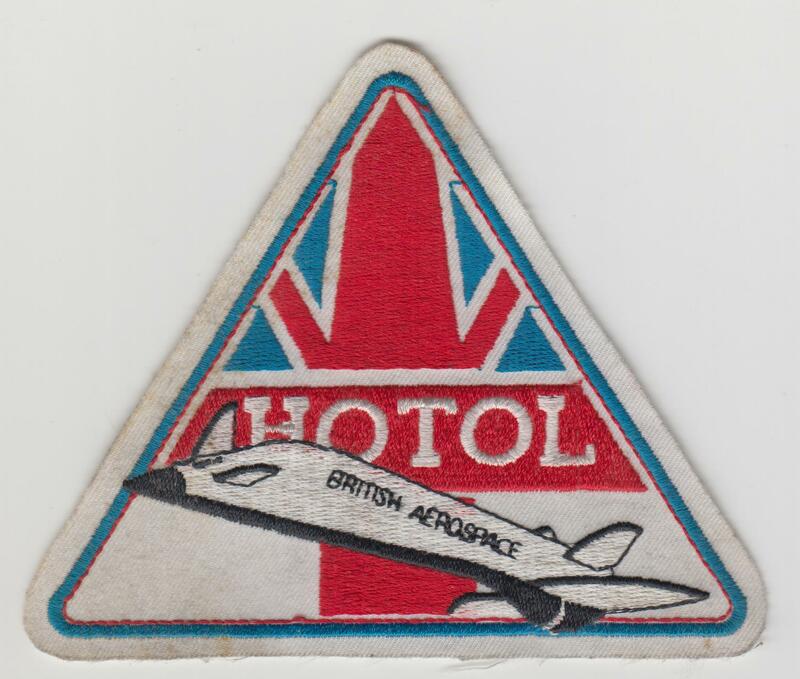 There have been a number of plans to develop British spaceplanes, like MUSTARD in the 1960s and then HOTOL in the 1980s. HOTOL was cancelled because of difficulties getting the airbreathing engines to work. However, work on the plane continued after its official cancellation. The problems have been ironed out, and a new spaceplane developed, Skylon. It’s not a crewed vehicle, so it doesn’t look like any British astronauts will be going into space direct from Blighty just yet. Nevertheless, things are looking very optimistic for the British space programme, as there were reports in the papers a few months ago that the plane would be all set and ready to fly in the very near future, like 2020. I certainly hope so, and will look forward to seeing what this programme has to say about it all. In this short clip, just over two minutes long, from Al-Jazeera, posted two years ago in 2016, Tariq Bezley reports on the first test flight by the Indian Space Agency of their space shuttle. The shuttle was launched into space on top of a rocket fired from India’s launch facility north of Chenai. The craft separated from the rocket at an altitude of 70 km and re-entered the Earth’s atmosphere, which heated it up to 2,000 degrees. A female scientist speaking for the Observer Research Foundation, Rajeswari P Rajagopalan talks on the video about how it was necessary to test the shuttle’s heat shield. Besley states that so far only the US, USSR, Japan and Europe have launched reusable shuttles. He states that NASA’s Space Shuttle flew 135 missions in 30 years before it was finally decommissioned. It has been replaced by the US air forces X-37B test vehicle. This unmanned vehicle was on its third mission, and had been up there for a year. However, the secrecy surrounding its missions have provoked speculation that it is a spy satellite, or is being tested to deliver weapons from space. He then goes on to discuss the Dreamchaser, the spaceplane being developed by the private Sierra Nevada firm to service the International Space Station. Its first flight is planned for 2019. India’s space shuttle is in a much earlier stage of development, and it’s estimated that it’ll be 10 or 15 years before it is ready to fly. Besley also discusses how India successfully put a spacecraft in orbit around Mars in 2014, becoming the first Asian nation to do so. Rajagopan states that China has flourishing military space programme, which is a direct challenge to India, and India has to respond if it is not to be left lagging behind. Further tests will be carried out on the Indian spacecraft, including on the supersonic scramjet engine which the Indians hope will one day power the spaceplane. The Indians say that their Mars mission cost a tenth of that of other missions to the Red Planet. Besley concludes that if their space shuttle can achieve the same savings, space travel will become much more affordable for all. A number of countries have developed plans for different spaceplanes. The Russians had their own version of the Space Shuttle, Buran, which looked exactly like the American. It has been mothballed since the Fall of the USSR and has never flown. The French designed a small spaceplane, Hermes, which was to go on top of their Ariane rocket in the 1990s. 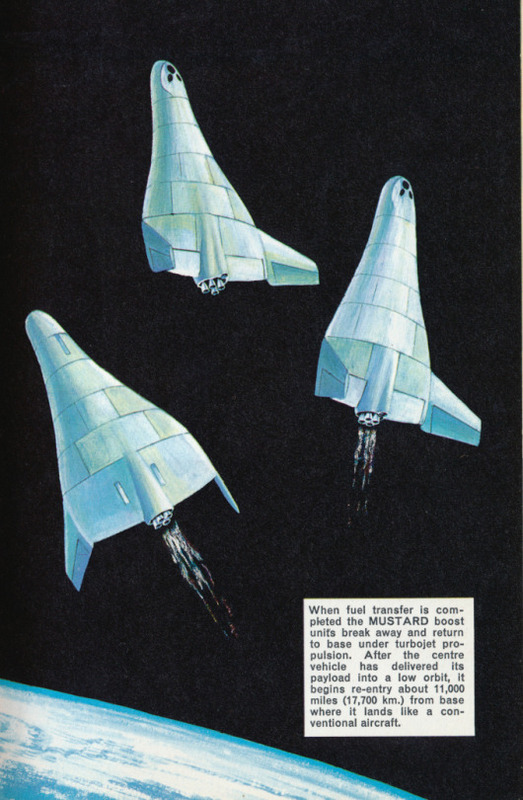 This was very much like the American Dynosoar spaceplane proposed in the 1950s, but never actually built. The Germans also designed a spaceplane, Sanger, named after one of their leading rocket scientists. This would consist of two craft, a larger plane acting as a first stage, which would piggy-back a second plane into orbit. And then there was the British HOTOL project of the 1980s which also used airbreathing ramjet engines to take the plane into space. This was never completed because of problems with those same engines. The technology has since been perfected, and a new British spaceplane, Skylon, has been developed. It has been forecast that it will come into service sometime in the next few years, possibly flying from spaceport launch sites in Cornwall or Scotland. The video shows how sophisticated India’s space programme is, and I’ve no doubt that their entry into space will lower launch costs significantly. While the American shuttle was an amazing piece of engineering, it was massively expensive. It only became competitive as a launch vehicle against Ariane and the other rockets because it was heavily subsidized by the American government. I look forward to the development of India’s spaceplane and that country joining the US and Russia in launching manned space missions. Perhaps if more countries develop reusable spacecraft, humanity will at last enter a real age of crewed space exploration and colonization. British Spaceplane Skylon to Fly in 2020? The papers also reported this week that the government was looking for somewhere to put a spaceport for a British spacecraft, which would take off from ordinary runaways. The spacecraft would be launched in 2020. One of the places suggested as a possible site for the spaceport is Newquay in Cornwall. This sounds like Skylon, a spaceplane that has been in development by British scientists since the 1980s. The plane will use a mixture of advanced air-breathing engines and rockets to enter space. It’s sort-of the successor to an earlier spaceplane project, HOTOL, which was under development in the 1980s before it was cancelled due to problems developing its air-breathing engines. This is really great news. There have been other spaceplanes planned by a number of other countries, quite apart from the American space shuttle, and its Russian counterpart, Buran. The Germans had the Sanger spaceplane under consideration in the 1990s, named after the German aerospace engineer and scientist, Eugen Sanger, while the French were also considering the Hermes spacecraft. This was going to be a mini-shuttle launched by their Ariane rocket, rather like the American Dyno-Soar spaceplane of the 1950s. If this does go ahead, it will mean that Britain has once again returned as an independent space power after the cancellation of the Black Knight rocket launcher in 1975. One of the many piece Mike put up on his site yesterday reported on Stephen Hawking’s statement that British science would be put at risk if we left the EU. Hawking was speaking as a guest on the show Good Morning Britain, and stated that the EU was good for British science for two reasons. Firstly, it allowed scientists and students from different countries to travel, thus sharing their skills, knowledge and experience. Without this exchange of personnel and ideas, Britain would be come isolated and remote from the centres of scientific endeavour. He also stated that British science benefited from generous funding from the European Union. Another EU personality clash: Stephen Hawking vs Michael Gove. Who do YOU think should win? Hawking’s views here are, unsurprisingly, exactly right. In fact, British intellectual culture has benefited from the exchange of staff and ideas from across the continent. Many, perhaps the majority, of unis today have teaching staff and students from elsewhere in the EU and the wider world. In the archaeology department at Bristol University four years ago, when I was studying for my postgraduate degree, there were staff from Greece, Portugal and Germany. There were also speakers at the regular postgraduate seminars from countries such as Austria and Belgium, apart from those from the other parts of the Anglophone world. These archaeologists reported on excavations they had carried out not only in their home countries, but also in places like Turkey, Egypt, Romania and the former USSR. Well some of this is no doubt possible without the umbrella of the EU, it’s made much easier with it. And Britain does benefit from the international contacts the EU brings at a corporate and financial level. ESA, the European Space Agency, operates a system of a juste retour. Under this system, the countries that contribute the most funding to a European space project get the most contracts for it. And we’ve missed out on the benefits of closer cooperation with the European Space Agency in the past. For example, we could have been much more involved with the Ariane satellite launcher. 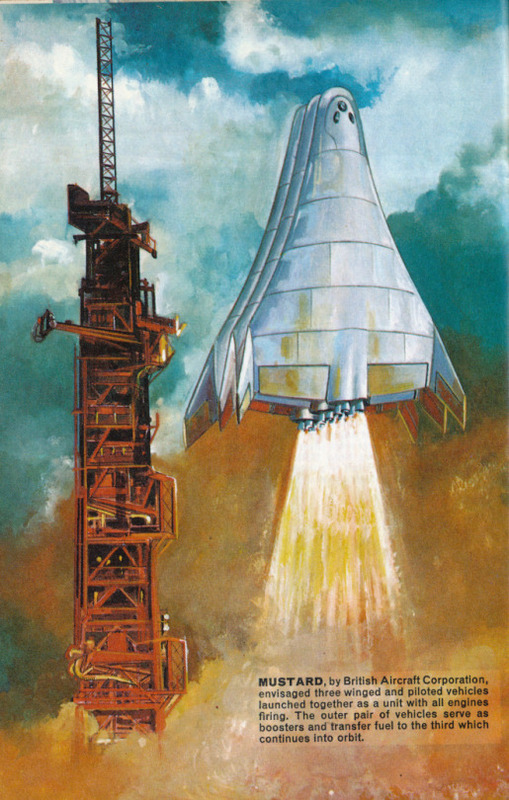 This was developed by France from the remains of the ESRO project to build a European launch vehicle. We developed our own launcher too, Black Knight, which successfully launched a British satellite in the 1970s, but was cancelled after its first mission. We could have had a place, or many more places for our satellites, aboard Ariane. Instead, some Whitehall mandarin decided that we should instead throw in our lot with the Americans’ space shuttle. Well, we suffered there, not just because of the horrific engineering problems with that space vessel, which resulted in the deaths of the crew of the Challenger and more recent fatalities. We also suffered because the launch of our satellites depended on whether there was space left over after the Americans had filled it with the experiments they wanted for their missions. Meanwhile, Ariane, quietly and successfully, carried other countries’ experiments and satellites into orbit, while we waited for the goodwill of the Americans. And Ariane itself, the rocket launcher, is excellent value for money. It costs the same as the Space Shuttle to launch a satellite, but that’s only because the Space Shuttle was heavily subsidised by the US government. If you’re looking for something that justifies itself according to free market ideology, then it’s probably Ariane you’d go for. Much of the cutting-edge, gosh-wow science that science educators love, because it captures young minds, like space, atomic physics and so on, is very expensive. I doubt whether the UK on its own could bear the cost of building a particle accelerator the size of CERN, or its rivals in America. So CERN was the result of collaboration between different European nations. And the importance of international contacts and intellectual mobility between countries is also underscored by the initial post-War success of American atomic physics. The Americans were able to build such huge nuclear reactors and accelerators, not just because they had the vast financial resources to afford them, but also because they benefited from the influx of all the scientists and engineers the Nazis had chased out of Central Europe. Mike, following one of his esteemed commenters, asks who people should believe about science and Brexit, Stephen Hawking, or Michael Gove? Really, you don’t have to have read A Brief History of Time or understand the intricacies of N-dimensional String Theory to know the answer to that one. It’s definitely going to be Hawking. Since David Cameron raised the issue of the EU referendum last week, there’s been a flood of posts about the subject. I’ve blogged about the dangers to British workers and the middle class if we leave Europe, and the human and workers’ rights legislation contained in the EU constitution and treaties. The Lovely Wibbley Wobbley Old Lady has put up her piece explaining the issues involved in Britain leaving the EU, as have a number of others. In this piece I won’t discuss the general issues, just give some of my thought on why it would be disastrous for Bristol, Somerset, Gloucestershire, and areas like them elsewhere in Britain if the country decides to leave. Firstly, Bristol is a port city. It’s not so much now, after the docks in Bristol have been closed to industry, and the port itself moved to better deep water facilities over in Avonmouth. Nevertheless, a sizable amount of trade goes through port facilities. The EU is Britain’s major trading partner, and my fear is that if Britain leaves Europe, trade will be hit, and the income and jobs generated by that trade will plummet. This will, of course, hit British industry generally, but it’ll also affect the ports as the centres of the import/export trade. Bristol furthermore has a proud tradition of aerospace research through BAE and Rolls Royce at Filton. Further south in Somerset there is the former Westland helicopter firm, while in the Golden Mile in Gloucestershire there are engineering firms, such as Dowty, that specialise in aircraft instrumentation and control systems. The sheer cost of developing and manufacturing modern high-performance civil and military aircraft means that many of these projects are joint ventures between aviation companies across Europe. Airbus is one of the most obvious examples, as is the Eurofighter. And then, back in the 1970s, there was Concorde, which was a joint project between Britain and France. Hence the name. Parts of the aircraft were built in France, but the wings and a other components were manufactured here in Bristol. The same is true of space exploration, and the satellites and probes sent up to the High Frontier. Several of these, or parts of them, have also been manufactured by British Aerospace at Filton. I’ve got a feeling the Giotto probe that was sent to investigate Halley’s Comet in 1986 was also partly made in Bristol. Again, like aviation, space travel can be enormously expensive. The costs are literally astronomical. So many of the space projects are joint ventures across Europe, between aerospace firms and contractors in Britain, France and Italy, for example. This was always the case going back to ESRO in the 1950s and ’60s. This was a joint European attempt to create a rocket launcher, involving Britain, France, Italy and Germany. Unfortunately the project collapsed, as the only section of the rocket that actually worked was the British first stage. Nevertheless, the French persevered, and out of its ashes came Ariane, launched from their base in Kourou in French Guyana. ESA, the European Space Agency, operates under a system of ‘juste retour’. Under this system, the country that supplies the most funding for a particular project, gets most of the contracts to make it. Despite various noises about the importance of space exploration and innovation in science and technology by various administrations over the years, space research by and large has not been well-served by the British government and mandarins at Whitehall. It has a very low priority. Opportunities for British firms to benefit from European space research have been harmed by the British government’s reluctance to spend money in this area. I can remember one of Thatcher’s ministers proudly informing the great British public that they weren’t going to spend money just to put Frenchmen into space. It’s partly because of this attitude that it’s taken so long to put a British astronaut into space with Tim Foale. Those of us of a certain age can remember Helen Sharman’s trip into space with the Russians in the 1980s. This was supposed to be a privately funded joint venture with the Russians. It nearly didn’t happen because the monies that were supposed to come from British capitalism didn’t materialise, and in fact the Soviets took Sharman to the High Frontier largely as a favour. The aerospace industry in Bristol and the West Country has contracted massively in the past few decades, as the aviation industry throughout Britain has declined along with the rest of our industrial base. I’m very much afraid that if we leave Europe, we will lose out on further commercial aerospace opportunities, and that part of Britain’s scientific, technological and industrial heritage will just die out. We were, for example, invited to take part in the development of Ariane, but the mandarins at Whitehall didn’t want to. Rather than invest in the French rocket, they thought we’d be better off hitching rides with the Americans. The problem with that is that the Americans naturally put their own interests first, and so tended to carry British satellites only when there was a suitable gap in the cargo. It also meant that British satellite launches were limited to the times the Space Shuttle was flying. These were curtailed after the Challenger explosion. If we’d have stuck with the French, we could possibly have had far more success putting our probes into space. I’m sure there are very many other ways Bristol and the West Country could also be harmed by the decision to leave the EU. It’s just what occurs to me, as someone with an interest in space exploration, from a city that was a centre of the aeroplane, rocket and satellite industries. I also decided to post this, because I know that Bristol’s not unique in its position. There are other working ports and centres of the aerospace industry across the country, that will also suffer if we leave Europe. And so I firmly believe we should remain in.